Energetiks talks to talented American dancer Maggie Ellington about dance, cats, and being photographed by Richard Calmes! 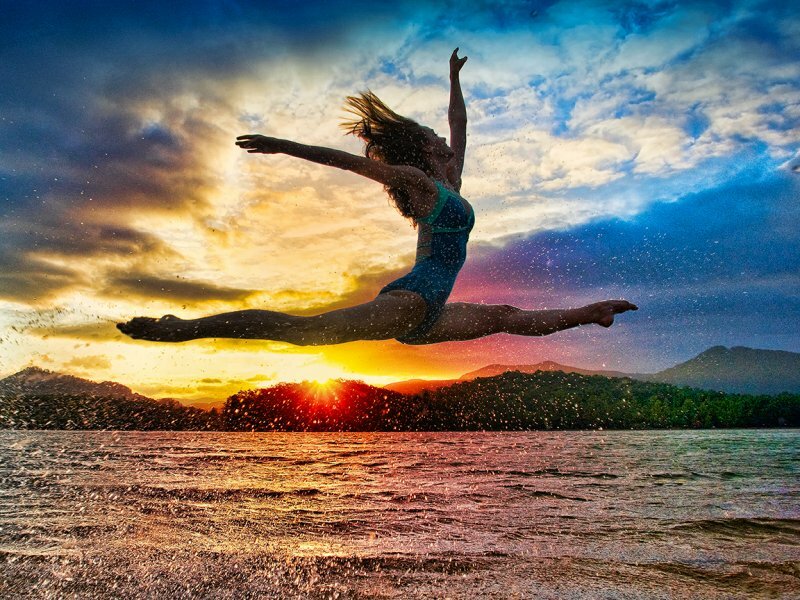 You may not know the name, but if you're a fan of dance and dance photography, then chances are you've admired and wondered over some of the breath-taking images captured on camera by photographer Richard Calmes, whose photos seem to flawlessly capture the awing, magical quality of a dancer in action. And if you are familiar with Calmes work, then you will probably recognise Maggie Ellington, the remarkable young dancer who features in a number of Calmes photographs, each one a visually striking, graceful, and yet seemingly effortless feat on Maggie's part. Energetiks thought it was about time we knew a bit more about the dancer behind these lovely photographs, so we asked her to have a chat with us, and here it is! Maggie Ellington, 19, Snellville, Georgia (hometown), Pittsburgh, Pensylvania (school). Classically trained in ballet, tap, jazz, & modern. Energetiks: How and when did you start dancing? 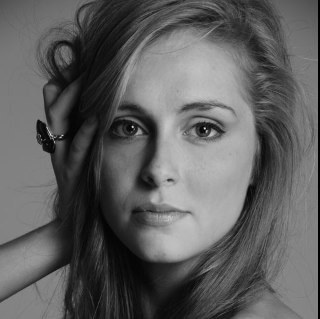 Maggie: I began dancing at the age of 3, when my mother first placed me in a creative movement class at my local dance studio. My mother was hesitant at first because she had hopes and dreams of me following her footsteps in sports like basketball and volleyball. My grandmother convinced her that it was the only way to control my dancing around the house so much. 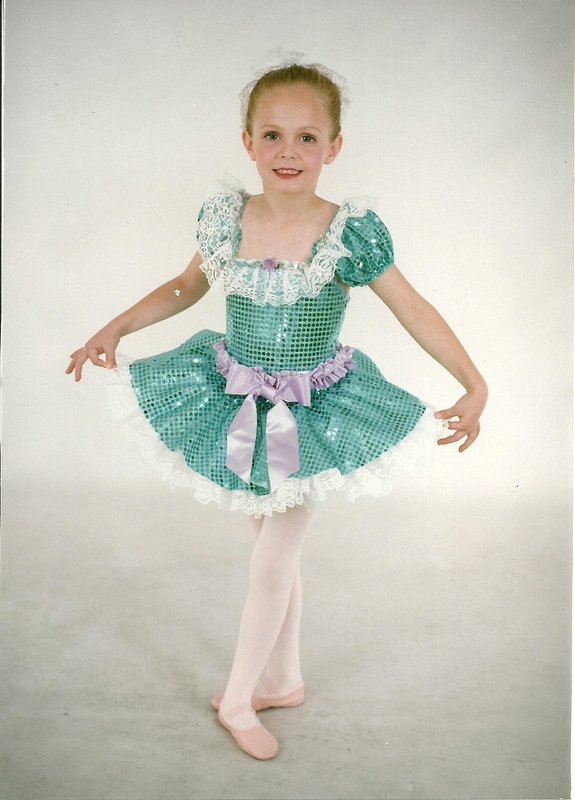 A young Maggie in one of her dance costumes, looking super cute! E: Does anyone else in your family dance? M: Unfortunately, not in my immediate family. I do believe that I have some younger cousins that dance. E: What was the first thing you were really proud of achieving with your dancing? M: The first thing I was really proud of achieving through my dancing was being awarded a scholarship when I was 12, it made me more confident with myself and made me feel like others could be moved and appreciate what I love to do. E: What are you up to at the moment and what are your plans/aspirations for the future? M: The rest of my summer will include a trip to Austria, where a couple of alumni from my old studio and I will tour and dance around Austria in a program called "Stars of Tomorrow" for the Tanzsommer Festival. In addition to Austria, I will be going to a ballet training program called Alonzo King's Lines Ballet, in San Francisco, California. E: What do you enjoy doing when you're not dancing? M: I enjoy all kinds of extreme sports and outdoor activities, like running, playing volleyball with friends, camping, and hiking with my family. I love scuba diving and white water rafting. I even jumped out of an airplane for my 18th birthday! E: Who has had the biggest influence on you as a dancer? M: My entire family has definitely influenced me as a dancer. From my grandparents who would take me to my classes when I was younger, to my mother who would go with me anywhere, sit through long rehearsals, help make it possible to dance wherever I wanted. As well at my father and brother, who support me and come to every show, without ever falling asleep! I wouldn't be where I am today without the help and support my family has given me these past 16 years that I've been training. E: How did you get involved with Richard Calmes photography? M: I first started getting my pictures taken with Richard when I was about 14 years old. His daughter was good friends and danced with our director, Lisa Shepard-Robson, and Richard took photos of our company dancers for marketing and promoting our non-profit ballet program. E: Do you have a favorite/s of his pictures? M: Where do I begin?! I love all the pictures that Richard takes of all dancers, because he is such a great photographer! He's had almost every possible creative dance picture taken, from hanging on ropes to taking pictures at a baseball field, jumping on the dugout between innings! My favorites would have to be, a silhouette of me doing an arabesque with a volleyball in my hand, i just think its so different from what you normally see with an arabesque. Another one I absolutely love is one that actually made the cover of a Polish photography magazine! This photo was inspired by some choreography of an alumni from our studio, Robert Dekkers (now Director of Post:Ballet). Last, but not less of a favorite, is a photo Richard called "Katniss" and the Katniss character is definitely where I drew inspiration for this photo. It looks like I'm actually jumping with a bow and arrow and I absolutely love it! Maggie on the cover of 'Photo' magazine! E: That's one of our favourites too, it's such a powerful shot! Are there any plans for you to work with Richard again? M: Hopefully, in the near future I will get to work with Richard, I always enjoy spending time with him and the the result of working together captures so many great and priceless moments. E: What's something you can't live without? M: Something I definitely couldn't live without is my cat, Polly. She's one of the sweetest, most loving cats and I don't know what I would do without her. E: Which is your favorite, performance or classwork (and why)? M: I have always loved the Nutcracker, (what classically trained dancer wouldn't?!) I'm definitely going to miss not performing 18 shows of it every December like I did at my old studio. The best thing about dancing in story ballets is getting to act out different characters and pretending like you're someone else! E: What's something that makes you laugh? M: Anything that has to do with cats, my friends would say that I am a little obsessed, and that I meow all the time, i just can't help it! E: Do you prefer dancing in pointe shoes, or barefoot? M: I love the way pointe shoes are like a natural high heel, and I love wearing high heels, and being 6'1 they definitely take me to different heights! Dancing with pointe shoes makes me feel so pretty and elegant in ways that dancing in flat shoes or barefoot just cannot. But I do enjoy dancing barefoot as well! E: What's your favorite dance movie? M: I know it sounds cliche but I absolutely love Center Stage, it is a classic dance movie about the struggles that dancers have and I can relate to it very well. M: a way for me to express myself and display my emotions without words. M: an odd-ball because I love to make silly faces and surprise my friends with my expressions. M: not extending my long arms all the way, because I want to dance like I'm shorter than I really am, which is bad because I would love to dance like I'm taller than I am. M: Australia , because I've never been there, the landscapes are beautiful, the people seem so interesting, I love their accent and I want to see all the cool animals there like Koalas and Kangaroos up close! E: And finally, do you have any advice for our readers who are aspiring dancers? M: My advice for aspiring dancers is to dance however, whenever, and wherever you want. You are the future of dance, and without dancers that dare to be different, there wouldn't be all these different kinds of dance. There is always something to learn, no matter the subject, whether you've been dancing for 10 years or 10 days, if you put your heart into something you love to do, no one can take the feeling it gives you to express everything you feel inside. What an inspiring message! It's been a pleasure talking with you Maggie, we wish you all the best with Stars of Tomorrow and look forward to seeing more of you in the future! Thanks to Maggie for taking the time to be interviewed and to Richard Calmes for allowing us to feature his photographs. Northern Ballet brings The Great Gatsby to the stage! Australian Dance Theatre's 'G' - A modern day Giselle.